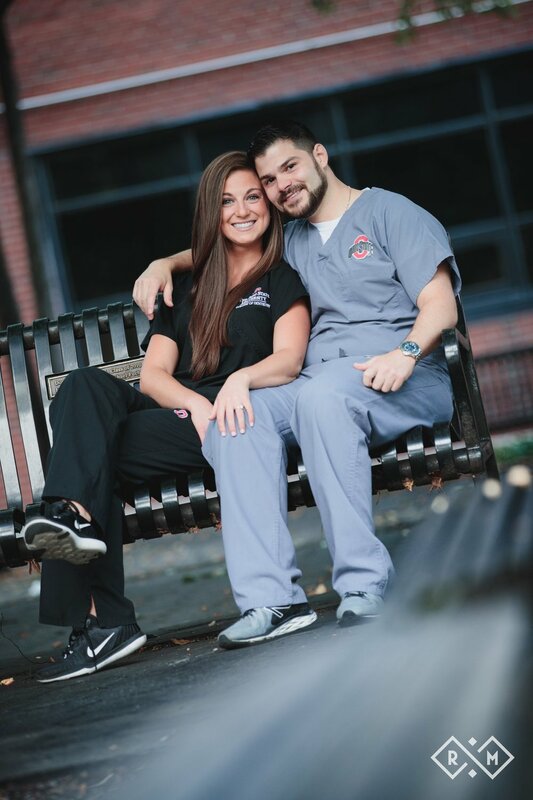 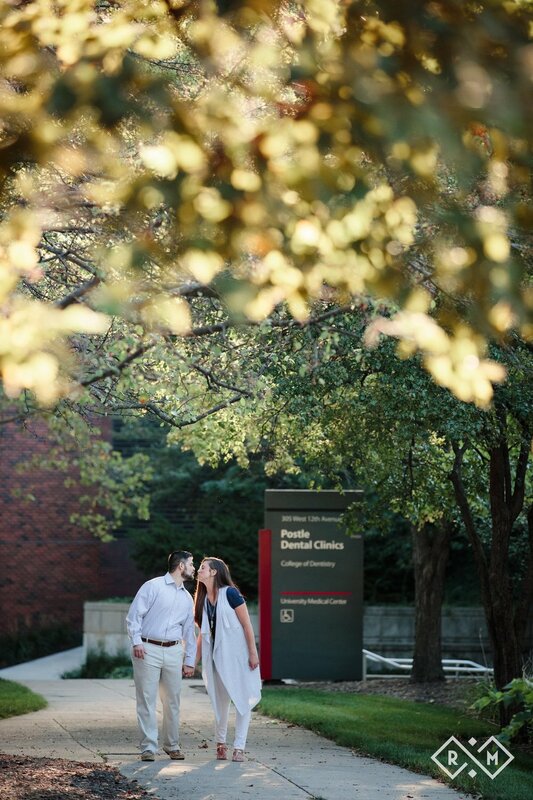 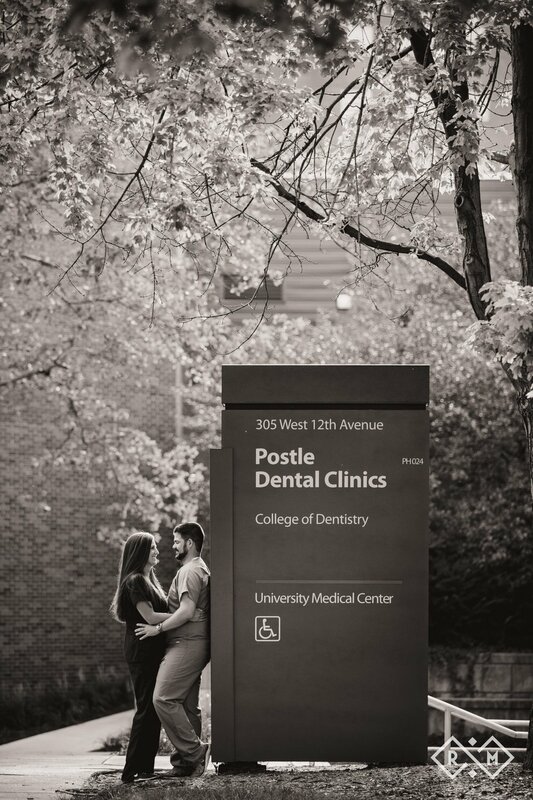 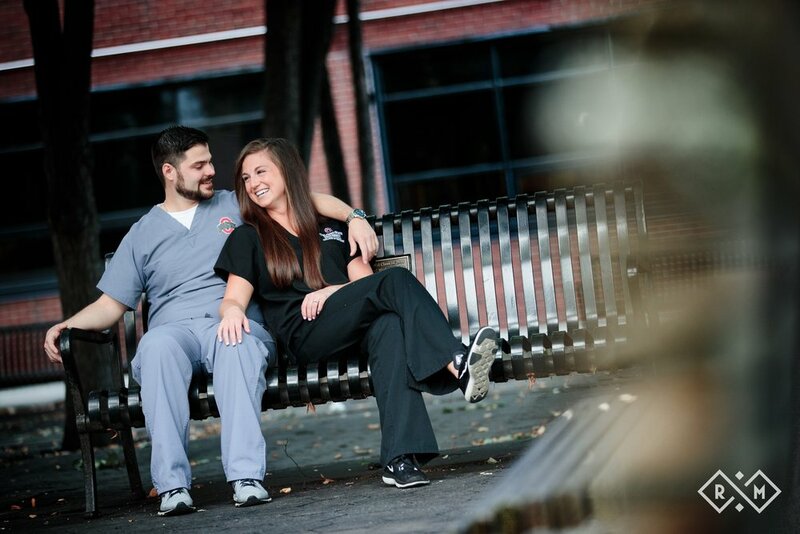 Nicole and David met at The Ohio State University's Dental School - so what better place to do engagement photos? 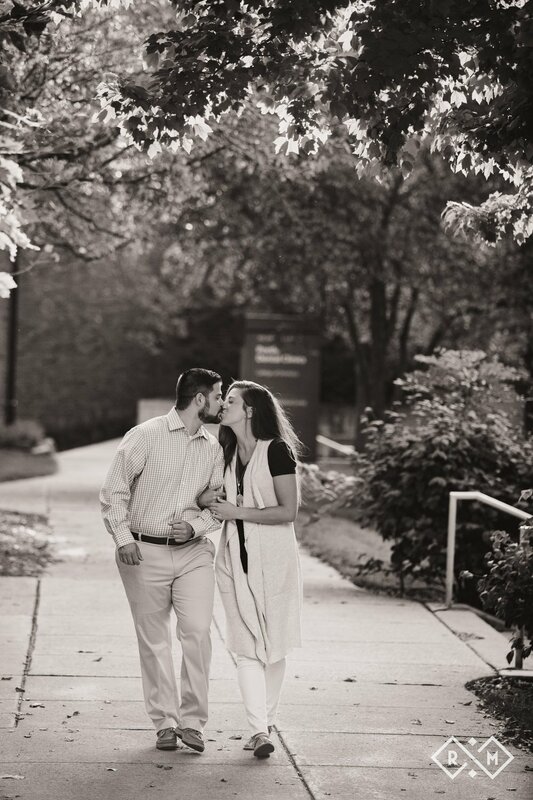 We started on OSU's campus, capturing all the places special to this couple. 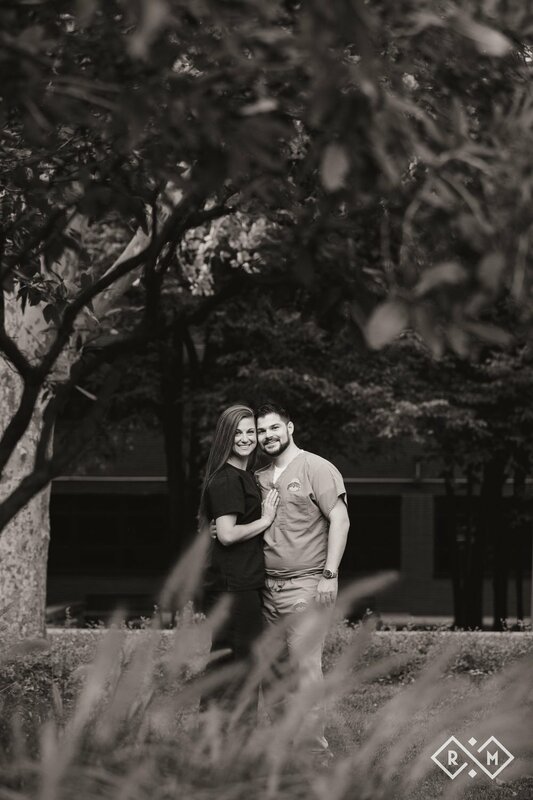 Nicole's over-the-top, goofy personality made our session a breeze as the couple laughed the entire time. 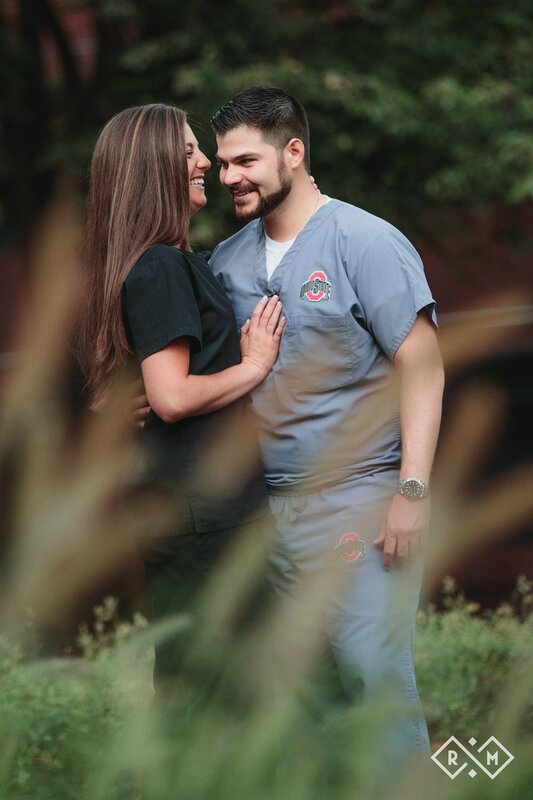 After walking through OSU campus, we headed to downtown Columbus to capture some more dramatic images. 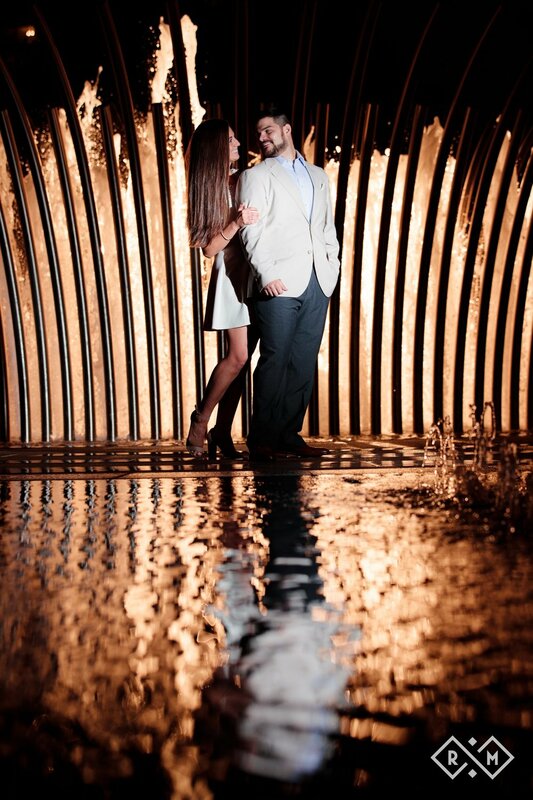 We ended up with a wide range of photos that really capture the dynamic personality of this couple! 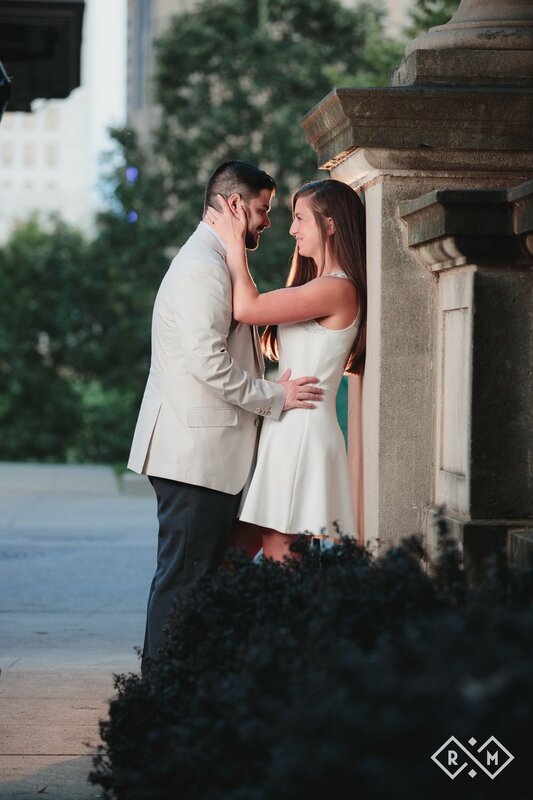 Our favorite was one of the last pictures of the night at the fountains on the Scioto Mile! 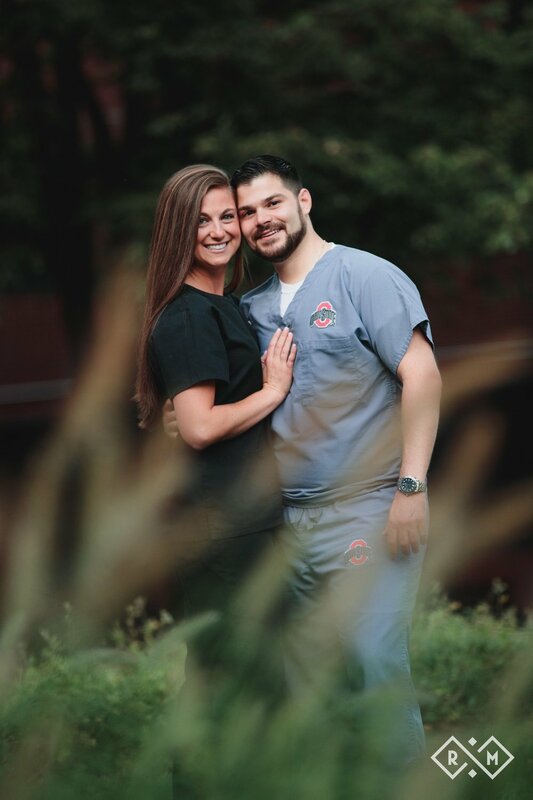 We cannot wait for their upcoming April wedding!